No matter the size of your business or your website, it’s always good to think about making a few changes! Thinking strategically about your web design will help you to reach more people than ever before. Website redesign could lead to more visitors and a more satisfying experience for those who do visit you. In this day and age, perfecting the user experience is key. Keeping your visitors on-page and engaged with what you do is key! You may not think you need to revamp your website. However, there are plenty of great reasons for how a redesign could change your business’ outlook for the better. Here are just a few to consider! Marketing and advertising can change as audience tastes evolve. That means your website should change, too! Do you modify your marketing plans often? Is your conversion funnel aligned with the new plans? Are you implementing lead generation content (blogs, articles, guidelines) with the appropriate call to action (CTAs) on the relevant pages? If you answered ‘yes’ to the first point and ‘no’ to the second two, it may be time to take a close look at what your website is doing in line with your marketing profile. In this day and age, speed is everything. It’s one of many things Google measures for, and it’s something that impacts massively on visitor interest and engagement. The size of your images, your server performance, code density, too many plugins and/or unnecessary redirects could be increasing waiting time for your visitors. Keep them waiting too long, and they will go elsewhere! According to the Meeker 2018 Internet Trends Report, time spent on mobile devices engaging with digital media has reached 3.3 hours a day for the average consumer. Is it easy to navigate (buttons and links are accessible)? Responsive design and Accelerated Mobile Pages (AMP) can both improve the mobile experience for your visitors. If your bounce rate is too high, it means that visitors are leaving your site too quickly. This means they may be only checking one or two pages before going elsewhere. That, ultimately, means it’s time to check whether or not your content and information are still relevant to your audience. Are you answering your visitors’ questions and queries? Does your call-to-action (CTA) convert visitors into leads and customers? Is your site consistent in the design, page layouts, colours and fonts matching your company’s voice? Do your landing pages motivate people to learn more by navigating deeper? Do you allow your visitors to access your website with certain screen readers? Are there flexible font options and colour choices? You should consider making your website as accessible as possible to all comers. 6. Your home page is too busy! While your visitors will crave information, it’s important to get the balance right. Filling your first few pages with walls of text and little breathing space or variety will turn people away. You need to think carefully about where to put certain information on your site. Can it be split into different pages or categories? You need to give your visitors a brief snapshot of what to expect that they can read and digest quickly. Then, give them the tools and links to explore for more details if they want to. Confusing content and navigation can create a negative experience for your visitors. They should be able to find information quickly by implementing navigation that is consistent and logical according to their needs. This is especially the case in the mobile age, where websites need to clearly lay out menus and options that can be quickly found and accessed through small screen devices. If you are considering revamping your site, you probably already know which elements work or don’t work well. It is recommended that you take an interactive approach and work closely with your website designer to redesign the user experience and ensure that your website is useful, appealing and consistent. Don’t overload it with garish colours or too many images! Seek advice from a professional. Eventually, you may want to check which plugins are out of date and either remove them or replace them by better ones. Unused plugins take up space in the back-end and slow down your website loading speed. This ties in nicely with the point about speed earlier in our guide. Take all measures to get your website working as speedily as possible! Keeping an eye on the competition is a great idea. Their SEO strategies may be different to yours, but you should always keep a close eye on how they are performing in terms of Google searches, and whether or not they are pushing you down in the rankings. Maintaining a good SEO strategy will ensure that people will find your content through organic search. Use relevant keywords, add alt text to your images and create meta descriptions. This point is simple. If you’ve not updated your website’s look for a few years, it’s time to start thinking about trying something a little different. What worked well in 2015 won’t work as well in 2020. Tastes change, as do expectations. Take a close look at the competition, ask for feedback from your audience, and consult professional advice. You’ll soon be able to craft a new website that will compete well with modern competition. It’s hard to go anything alone! Web design is a great example. Why take on all the hassles of designing and revamping your website when you can ask for help from a flexible professional? If you think your website is in need of a redesign to keep up with the competition, why not contact an online expert for friendly advice and guidance? 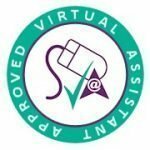 Contact VALady Virtual Assistant today on 07970 362928 or at info@valady.co.uk.